decide how often you want to set a consistent date night. Maybe you want to shoot for once a month and if you get some bonus, unplanned dates in there, then great! find someone who can babysit consistently. You can definitely do it with multiple people, but if you are hesitant about leaving the kids, having one person who knows them and their routine well helps a lot! put it on the calendar and don't break the "appointment". Even if you are tired. Even if you had a rough week. Even if your sitter cancels (find someone else!). Hopefully the date will refresh both of you, and it doesn't have to take a long time. Go out for an hour and a half and then come back refreshed and ready for the week ahead! 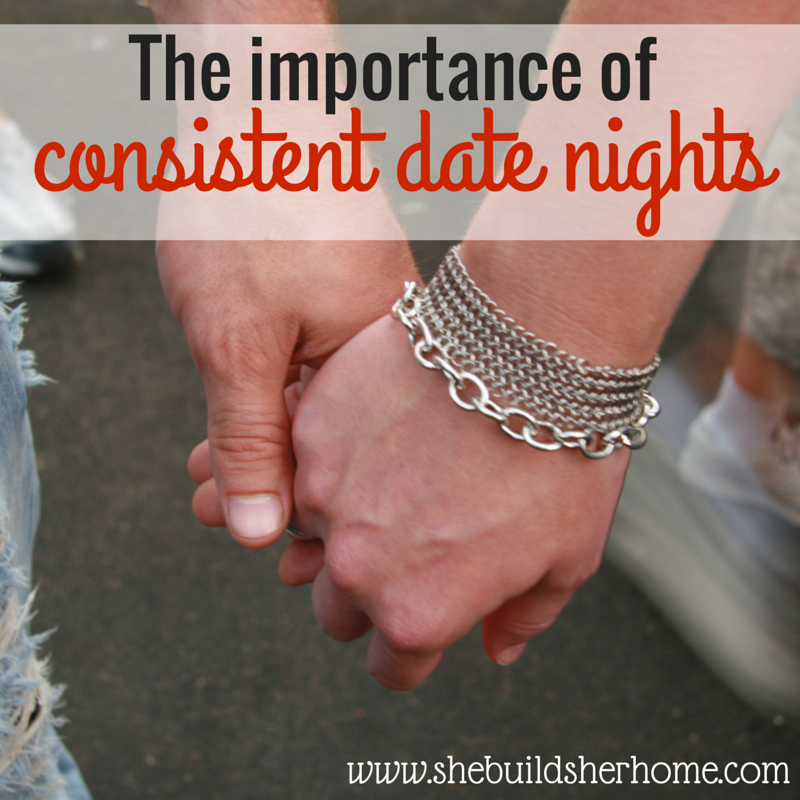 Do you get a consistent date night with your spouse? Why or why not?